Integrated psychosocial treatments are increasingly accepted and provided to patients as more and varied evidence accrues regarding their benefits. However, there continue to be few trials that integrate novel psychosocial treatments with novel pharmacotherapies. Instead, most treatments either focus on new pharmacological or new psychosocial interventions. Despite this, more recent research has emphasized the importance of integrating pharmacological and psychotherapeutic treatment options. In the approximately 20 years since researchers and clinicians in the mental health and addictions fields first noted the high prevalence rate of comorbidity and poorer outcomes in dually diagnosed populations, important strides have been made in further understanding the epidemiology and sequelae of these disorders, as well as the critical need to develop specific treatments for these populations. Significant progress has been made in developing new treatments, testing them with increasing methodological rigor, and developing optimal treatment methods for these often poorly served patient populations. In the next decade, we are hopeful that this continued research effort will translate into improved treatment methods and outcomes in these patients. This work was supported by Grant Nos. K02 DA00326 (Dr. Weiss), R01 DA015968 (Drs. Busch and Weiss), U10 DA015831 (Drs. Busch, Weiss, and Najavits), and K02 DA00400 (Dr. Najavits) from the National Institute on Drug Abuse. Adinoff, B. (1992). Long-term therapy with benzodiazepines despite alcohol dependence disorder. Am J Addict, J (4), 288-293. Aharonovich, E., Nguyen, H. T., & Nunes, E. V. (2001). Anger and depressive states among treatment-seeking drug abusers: Testing the psychopharmacological specificity hypothesis. Am J Addict, J0(4), 327-334. Albanese, M. J., Bartel, R. L., Bruno, R. F., Morgenbesser, M. W., & Schatzberg, A. F. (1994). Comparison of measures used to determine substance abuse in an inpatient psychiatric population. Am J Psychiatry, J5J (7), 1077-1078. Alcoholics Anonymous. (1984). The AA member: Medications and other drugs [Brochure]. New York: Alcoholics Anonymous World Services. American Psychiatric Association. (1987). Diagnostic and statistical manual of mental disorders (3rd ed., rev.). Washington, DC: Author. American Psychiatric Association. (2000). Diagnostic and statistical manual of mental disorders (4th ed.). Washington, DC: Author. Ball, S. A. (1998). Manualized treatment for substance abusers with personality disorders: Dual focus schema therapy. Addict Behav, 23(6), 883-891. Barrowclough, C., Haddock, G., Tarrier, N., Lewis, S. W., Moring, J., O'Brien, R., et al. (2001). Randomized controlled trial of motivational interviewing, cognitive behavior therapy, and family intervention for patients with comorbid schizophrenia and substance use disorders. Am J Psychiatry, 158(10), 1706-1713. Batki, S. L., Dimmock, J., Cornell, M., Wade, M., Carey, K. B., & Maisto, S. A. (2002). Directly observed naltrexone treatment of alcohol dependence in schizophrenia: Preliminary analysis. San Francisco: Research Society on Alcoholism. Beck, A. T., Epstein, N., Brown, G., & Steer, R. A. (1988). An inventory for measuring clinical anxiety—psychometric properties. J Consult Clin Psychol, 56, 893-898. Bellack, A. S., & DiClemente, C. (1999). Treating substance abuse among patients with schizophrenia. Psychiatr Serv, 50(1), 75-80. Bowers, M. B., Mazure, C. M., Nelson, J. C., & Jatlow, P. I. (1990) Psychotogenic drug use and neuroleptic response. Schizophr Bull, 16(1), 81-85. Brady, K. T., Dansky, B. S., Back, S. E., Foa, E. B., & Carroll, K. M. (2001). Exposure therapy in the treatment of PTSD among cocaine-dependent individuals: Preliminary findings. J Subst Abuse Treat, 21(1), 47-54. Brady, K. T., Sonne, S. C., Anton, R., & Ballenger, J. C. (1995). Valproate in the treatment of acute bipolar affective episodes complicated by substance abuse: A pilot study. J Clin Psychiatry, 56(3), 118-121. Brenner, L. M., Karper, L. P., & Krystal, J. H. (1994). Short-term use of disulfiram with clozapine. J Clin Psychopharmacol, 14(3), 213-215. Brooks, A. J., & Penn, P. E. (2003). Comparing treatments for dual diagnosis: Twelve-step and self-management and recovery training. Am J Drug Alcohol Abuse, 29(2), 359-383. Brown, E. S., Nejtek, V. A., Perantie, D. C., & Bobadilla, L. (2002). Quetiapine in bipolar disorder and cocaine dependence. Bipolar Disord, 4(6), 406-411. Brown, E. S., Nejtek, V. A., Perantie, D. C., Orsulak, P. J., & Bobadilla, L. (2003). Lamotrigine in patients with bipolar disorder and cocaine dependence. J Clin Psychiatry, 64(2), 197-201. Brown, R. A., Monti, P. M., Myers, M. G., Martin, R. A., Rivinus, T., Dubreuil, M. E., & Rohsenow, D. J. (1998). Depression among cocaine abusers in treatment: Relation to cocaine and alcohol use and treatment outcome. Am J Psychiatry, 155(2), 220-225. Brown, S. A., Irwin, M., & Schuckit, M. A. (1991). Changes in anxiety among abstinent male alcoholics. J Stud Alcohol, 52(1), 55-61. Brown, S. A., & Schuckit, M. A. (1988). Changes in depression among abstinent alcoholics. J Stud Alcohol, 49(5), 412-417. Brunette, M. F., Mueser, K. T., Xie, H., & Drake, R. E. (1997). Relationships between symptoms of schizophrenia and substance abuse. J Nerv Ment Dis, 185(1), 13-20. Brunette, M. F., Noordsey, D. L., Xie, H., & Drake, R. E. (2003). Benzodiazepine use and abuse among patients with severe mental illness and co-occurring substance use disorders. Psychiatr Serv, 54(10), 1395-1401. Buckley, P., Thompson, P., Way, L., & Meltzer, H. Y. (1994). Substance abuse among patients with treatment-resistant schizophrenia: Characteristics and implications for clozapine therapy. Am J Psychiatry, 151(3), 385-389. Cacciola, J. S., Alterman, A. I., Rutherford, M. J., & Snider, E. C. (1995). Treatment response of antisocial substance abusers. J Nerv Ment Dis, 183, 166-171. Carey, K. B. (1995). Treatment of substance use disorders and schizophrenia. In A. F. Lehman & L. B. Dixon (Eds. ), Double jeopardy: Chronic mental illness and substance use disorders (pp. 85-108). Chur, Switzerland: Harwood. Carey, K. B., Carey, M. P., Maisto, S. A., & Purnine, D. M. (2002). The feasibility of enhancing psychiatric outpatients' readiness to change their substance use. Psychiatr Serv, 53(5), 602-608. Carey, K. B., Purnine, D. M., Maisto, S. A., & Carey, M. P. (2001). Enhancing readiness-to-change substance abuse in persons with schizophrenia: A four-session motivation-based intervention. Behav Modif, 25(3), 331-384. Carroll, K. M., & Rounsaville, B. J. (1993). History and significance of childhood attention deficit disorder in treament-seeking cocaine abusers. Compr Psychiatry, 34, 75-86. Castaneda, R., Levy, R., Hardy, M., & Trujillo, M. (2000). Long-acting stimulants for the treatment of attention-deficit disorder in cocaine-dependent adults. Psychiatr Serv, 51, 169-171. Ciraulo, D. A., & Jaffe, J. H. (1981). Tricyclic antidepressants in the treatment of depression associated with alcoholism. J Clin Pharmacol, 1, 146-150. Ciraulo, D. A., &Nace, E. P. (2000). Benzodiazepine treatment of anxiety or insomnia in substance abuse patients. Am J Addict, 9(4), 276-284. Ciraulo, D. A., Sands, B. F., & Shader, R. I. (1988). Critical review of the liability of benzodiazepine abuse among alcoholics. Am J Psychiatry, 145(12), 1501-1506. Claassen, C. A., Gilfillan, S., Orsulak, P., Carmody, T. J., Battaglia, J., & Rush, A. J. (1997). Substance use among patients with a psychotic disorder in a psychiatric emergency room. Psychiatr Serv, 48(3), 353-358. Compton, W. M., Cottler, L. B., Jacobs, J. L., Ben-Abdallah, A., & Spitznagel, E. L. (2003). The role of psychiatric disorders in predicting drug dependence treatment outcomes. Am J Psychiatry, 160(5), 890-895. Cornelius, J. R., Salloum, I. M., Ehler, J. G., Jarrett, P. J., Cornelius, M. D., Perel, J. M., et al. (1997). Fluoxetine in depressed alcoholics: A double-blind, placebo-controlled trial. Arch Gen Psychiatry, 54(8), 700-705. Daley, D. C., & Zuckoff, A. (1998). Improving compliance with the initial outpatient session among discharged inpatient dual diagnosis clients. Soc Work, 43, 470-473. DeMartinis, N., Rynn, M., Rickels, K., & Mandos, L. (2000). Prior benzodiazepine use and buspirone response in the treatment of generalized anxiety disorder. J Clin Psychiatry, 61(2), 91-94. Drake, R. E., Essock, S. M., Shaner, A., Carey, K. B., Minkoff, K., Kola, L., et al. (2001). Implementing dual diagnosis services for clients with severe mental illness. Psychiatr Serv, 52(4), 469-476. Drake, R. E., McHugo, G. J., Clark, R. E., Teague, G. B., Xie, H., Miles, K., & Ackerson, T. H. (1998). Assertive community treatment for patients with co-occurring severe mental illness and substance use disorder: A clinical trial. Am J Orthopsychiatry, 68, 201-215. Drake, R. E., & Mueser, K. T. (2000). Psychosocial approaches to dual diagnosis. Schizophr Bull, 26, 105-118. Drake, R. E., Osher, F. C., & Wallach, M. A. (1989). Alcohol use and abuse in schizophrenia: A prospective community study. J Nerv Ment Dis, 177, 408-414. Drake, R. E., Xie, H., McHugo, G. J., & Green, A. I. (2000). The effects of clozapine on alcohol and drug use disorders among patients with schizophrenia. Schizophr Bull, 26, 441-449. Drake, R. E., Yovetich, N. A., Bebout, R. R., Harris, M., & McHugo, G. J. (1997). Integrated treatment for dually diagnosed homeless adults. J Nerv Ment Dis, 185, 298305. Ewing, J. A. (1984). Detecting alcoholism: The CAGE questionnaire. JAMA, 252, 1905-1907. Fals-Stewart, W., & Schafer, J. (1992). The treatment of substance abusers diagnosed with obsessive-compulsive disorder: An outcome study. J Subst Abuse Treat, 9, 365-370. Farren, C. K., Hameedi, F. A., Rosen, M. A., Woods, S., Jatlow, P., & Kosten, T. R. (2000). Significant interaction between clozapine and cocaine in cocaine addicts. Drug Alcohol Depend, 59, 153-163. Farris, C., Brems, C., Johnson, M. E., Well, R., Burns, R., & Kletti, N. (2003). A comparison of schizophrenic patients with or without coexisting substance use disorder. Psychiatr Q, 74, 205-222. Fisher, M. S., & Bentley, K. J. (1996). Two group therapy models for clients with a dual diagnosis of substance abuse and personality disorder. Psychiatr Serv, 47, 12441250. Gawin, F., & Kleber, H. D. (1986). Abstinence symptomatology and psychiatric diagnoses in cocaine abusers: Clinical observations. Arch Gen Psychiatry, 43, 107-113. Gawin, F., Riordan, C., & Kleber, H. (1985). Methylphenidate treatment of cocaine abusers without attention deficit disorder: A negative report. 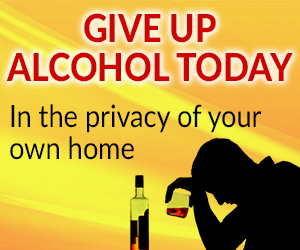 Am J Drug Alcohol Abuse, 11, 193-297. Gawin, F. H., & Kleber, H. D. (1984). Cocaine abuse treatment: Open pilot trial with desipramine and lithium carbonate. Arch Gen Psychiatry, 41, 903-909. Geller, B., Cooper, T. B., Sun, K., Zimerman, B., Frazier, J., Williams, M., & Heath, J. (1998). Double-blind and placebo-controlled study of lithium for adolescent bipolar disorders with secondary substance dependency. J Am Acad Child Adolesc Psychiatry, 37, 171-178. Gonzalez, G., & Rosenheck, R. A. (2002). Outcomes and service use among homeless persons with serious mental illness and substance abuse. Psychiatr Serv, 53, 437446. Graeber, D. A., Moyers, T. B., Griffith, G., Guajardo, E., &Tonigan, S. (2003). A pilot study comparing motivational interviewing and an educational intervention in patients with schizophrenia and alcohol use disorders. Community Ment Health J, 39, 189-202. Green, A. I., Zimmet, S. V., Strous, R. D., & Schildkraut, J. J. (1999). Clozapine for comorbid substance use disorder and schizophrenia: Do patients with schizophrenia have a reward-deficiency syndrome that can be ameliorated by clozapine? Harv Rev Psychiatry, 6, 287-296. Greenfield, S. F., Weiss, R. D., Muenz, L. R., Vagge, L. M., Kelly, J. F., Bello, L. R., & Michael, J. (1998). The effect of depression on return to drinking: A prospective study. Arch Gen Psychiatry, 55, 259-265. Hasin, D. S., Tsai, W.-Y., Endicott, J., & Mueller, T. I. (1996). The effects of major depression on alcoholism: Five-year course. Am J Addict, 5, 144-155. Helmus, T. C., Rhodes, G., Haber, M., & Downey, K. K. (2001). Reinforcement of counseling attendance utilizing a high and low magnitude of reinforcement in a 22-day detoxifcation program. Drug Alcohol Depend, 63(Suppl 1), 65. Helmus, T. C., Saules, K. K., Schoener, E. P., & Roll, J. M. (2003). Reinforcement of counseling attendance and alcohol abstinence in a community-based dual-diagnosis treatment program: A feasibility study. Psychol Addict Behav, 17, 249251. Higgins, S. T., Budney, A. J., Bickel, W. K., Foerg, F. E., Donham, R., & Badger, G. J. (1994). Incentives improve outcome in outpatient behavioral treatment of cocaine dependence. Arch Gen Psychiatry, 51, 568-576. Humphreys, K. (1997). Clinicians' referral and matching of substance abuse patients to self-help groups after treatment. Psychiatr Serv, 48, 1445-1449. Jaffe, J. H., & Ciraulo, D. A. (1986). Alcoholism and depression. In R. E. Meyer (Ed. ), Psychopathology and addictive disorders (pp. 293-320). New York: Guilford Press. Jeffery, D. P., Ley, A., McLaren, S., & Siegfried, N. (2004). Psychosocial treatment programmes for people with both severe mental illness and substance misuse. Cochrane Database Syst Rev, 4. Jerrell, J. M., & Ridgely, M. S. (1995). Comparative effectiveness of three approaches to serving people with severe mental illness and substance abuse disorders. J Nerv Ment Dis, 183, 566-576. Kessler, R. C., Crum, R. M., Warner, L. A., Nelson, C. B., Schulenberg, J., & Anthony, J. C. (1997). Lifetime co-occurrence of DSM-III-R alcohol abuse and dependence with other psychiatric disorders in the National Comorbidity Survey. Arch Gen Psychiatry, 54, 313-321. Kessler, R. C., Nelson, C. B., McGonagle, K. A., Edlund, M. J., Frank, R. G., & Leaf, P. J. (1996). The epidemiology of co-occurring addictive and mental disorders: Implications for prevention and service utilization. Am J Orthopsychiatry, 66, 17-31. Khantzian, E. J. (1985). The self-medication hypothesis of addictive disorders: focus on heroin and cocaine dependence. Am J Psychiatry, 142, 1259-1264. Khantzian, E. J. (1989). 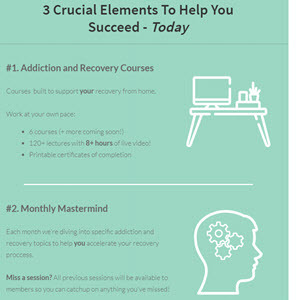 Addiction: Self-destruction or self-repair? J Subst Abuse Treat, 6(2), 75. Khantzian, E. J. (1997). The self-medication hypothesis of substance use disorders: A reconsideration and recent applications. Harv Rev Psychiatry, 4, 231-244. Kingsbury, S. J., & Salzman, C. (1990). Disulfiram in the treatment of alcoholic patients with schizophrenia. Hosp Commun Psychiatry, 41 , 133-134. Kofoed, L., Kania, J., Walsh, T., & Atkinson, R. M. (1986). Outpatient treatment of patients with substance abuse and coexisting psychiatric disorders. Am J Psychiatry, 143, 867-872. Kosten, T. R., Fontana, A., Sernyak, M. J., & Rosenheck, R. (2000). Benzodiazepine use in posttraumatic stress disorder among veterans with substance abuse. J Nerv Ment Dis, 188, 454-459. Kranzler, H. R., Burleson, J. A., Del Boca, F. K., Babor, T. F., Korner, P., Brown, J., & Bohn, M. J. (1994). Buspirone treatment of anxious alcoholics: A placebo-controlled trial. Arch Gen Psychiatry, 51, 720-731. Kranzler, H. R., Del Boca, F. K., & Rounsaville, B. J. (1996). Comorbid psychiatric diagnosis predicts three-year outcomes in alcoholics: A posttreatment natural history study. J Stud Alcohol, 57, 619-626. Kurtz, L. F. (1997). Self-help and support groups: A handbook for practitioners. Thousand Oaks, CA: Sage. LeDuc, P., & Mittleman, G. (1995). Schizophrenia and psychostimulant abuse: A review and re-analysis of clinical evidence. Psychopharmacology, 121, 407-427. Levin, F. R., Evans, S. M., & Kleber, H. D. (1999). Practical guidelines for the treatment of substance abusers with adult attention-deficit hyperactivity disorder. Psychiatr Serv, 50, 1001-1003. Levin, F. R., Evans, S. M., McDowell, D. M., Brooks, D. M., & Nunes, E. (2002). Bupropion treatment for cocaine abuse and adult attention-deficit/hyperactivity disorder. J Addict Dis, 21 , 1-16. Levin, F. R., Evans, S. M., McDowell, D. M., & Kleber, H. D. (1998). Methylphenidate treatment for cocaine abusers with adult attention-deficit/hyperactivity disorder: A pilot study. J Clin Psychiatry, 59, 300-305. Liebson, I. A., Tommasello, A., & Bigelow, G. E. (1978). A behavioral treatment of alcoholic methadone patients. Ann Intern Med, 89, 342-344. Linehan, M. M. (1993). Dialectical behavior therapy for treatment of borderline personality disorder: Implications for the treatment of substance abuse. In L. S. Onken, J. D. Blaine, & J. J. Boren (Eds. ), Behavioral treatments for drug abuse and dependence (NIDA Research Monograph No. 137, DHHS Publication No. 933684, pp. 201-216). Washington, DC: U.S. Government Printing Office. Linehan, M. M., Dimeff, L. A., Reynolds, S. K., Comtois, K. A., Welch, S. S., Heagerty, P., & Kivlahan, D. R. (2002). Dialectal behavior therapy versus comprehensive validation therapy plus 12-step for the treatment of opioid dependent women meeting criteria for borderline personality disorder. Drug Alcohol Depend, 67, 1326. Littrell, K. H., Petty, R. G., Hilligoss, N. M., Peabody, C. D., & Johnson, C. G. (2001). Olanzapine treatment for patients with schizophrenia and substance abuse. J Subst Abuse Treat, 21, 217-221. Magura, S., Laudet, A. B., Mahmood, D., Rosenblum, A., & Knight, E. (2002). Adherence to medication regimens and participation in dual-focus self-help groups. Psychiatr Serv, 53, 310-316. Magura, S., Laudet, A. B., Mahmood, D., Rosenblum, A., Vogel, H. S., & Knight, E. L. (2003). Role of self-help processes in achieving abstinence among dually diagnosed persons. Addict Behav, 28, 399-413. Mahler, J. (1995). HIV, substance use, and chronic mental illness. In A. F. Lehman & L. B. Dixon (Eds. ), Double jeopardy: Chronic mental illness and substance use disorders (pp. 159-175). Chur, Switzerland: Harwood. Malcolm, R., Anton, R. F., Randall, C. L., Johnston, A., Brady, K., & Thevos, A. (1992). A placebo-controlled trial of buspirone in anxious inpatient alcoholics. Alcohol Clin Exp Res, J6, 1007-10013. Mark, T. L. (2003). The costs of treating persons with depression and alcoholism compared with depression alone. Psychiatr Serv, 54, 1095-1097. Marlatt, G. A., & Gordon, G. R. (1985). Relapse prevention: Maintenance strategies in the treatment of addictive behaviors. New York: Guilford Press. Martino, S., Carroll, K., Kostas, D., Perkins, J., & Rounsaville, B. (2002). Dual diagnosis motivational interviewing: A modification of motivational interviewing for substance-abusing patients with psychotic disorders. J Subst Abuse Treat, 23, 297308. McHugo, G. J., Drake, R. E., Teague, G. B., & Xie, H. (1999). Fidelity to assertive community treatment and client outcomes in New Hampshire Dual Disorders study. Psychiatr Serv, 50, 818-824. McKay, J. R., Pettinati, H. M., Morrison, R., Feeley, M., Mulvaney, F. D., & Gallop, R.
(2002). Relation of depression diagnoses to 2-year outcomes in cocaine-dependent patients in a randomized continuing care study. Psychol Addict Behav, J6, 225-235. McLellan, A. T., & Druley, K. A. (1977). Non-random relation between drugs of abuse and psychiatric diagnosis. J Psychiatr Res, J3, 179-184. Meissen, G., Powell, T. J., Wituk, S. A., Girrens, K., & Arteaga, S. A. (1999). Attitudes of AA contact persons toward group participation by persons with a mental illness. Psychiatr Serv, 50, 1079-1081. Mendelson, J. H., & Mello, N. K. (1966). Experimental analysis of drinking behavior of chronic alcoholics. Ann NY Acad Sci, J33, 828-845. Mercer, D. E., & Woody, G. E. (1999). An individual drug counseling approach to treat cocaine addiction: The collaborative cocaine treatment study model (Therapy Manuals for Drug Abuse No. 3). Rockville, MD: U.S. Department of Health and Human Services, National Institute on Drug Abuse. Meyer, R. E. (1986). How to understand the relationship between psychopathology and addictive disorders: Another example of the chicken and the egg. In R. E. Meyer (Ed. ), Psychopathology and addictive disorders (pp. 3-16). New York: Guilford Press. Meyer, R. E., & Mirin, S. M. (1979). The heroin stimulus: Implications for a theory of addiction. New York: Plenum Press. Michelson, D., Adler, L., Spencer, T., Reimherr, F. W., West, S. A., Allen, A. J., et al. (2003). Atomoxetine in adults with ADHD: Two randomized, placebo-controlled studies. Biol Psychiatry, 53, 112-120. Miller, N. S., Ninonuevo, F. G., Klamen, G. L., Hoffmann, N. G., & Smith, D. E. (1997). Integration of treatment and posttreatment variables in predicting results of abstinence-based outpatient treatment after one year. J Psychoactive Drugs, 29, 239-248. Mueller, T. I., Goldenberg, I. M., Gordon, A. L., Keller, M. B., & Warshaw, M. G. (1996). Benzodiazepine use in anxiety disordered patients with and without a history of alcoholism. J Clin Psychiatry, 57, 83-89. Mueller, T. I., Lavori, P. W., Keller, M. B., Swartz, A., Warshaw, M. G., Hasin, D., et al. (1994). Prognostic effect of the variable course of alcoholism on the 10-year course of depression. Am J Psychiatry, 151, 701-706. Mueser, K. T., Bellack, A. S., & Blanchard, J. J. (1992). Comorbidity of schizophrenia and substance abuse: Implications for treatment. J Consult Clin Psychol, 60, 845856. Mueser, K. T., & Fox, L. (2002). A family intervention program for dual disorders. Community Ment Health J, 38, 253-270. Mueser, K. T., Noordsy, D. L., Fox, L., & Wolfe, R. (2003). Disulfiram treatment for alcoholism in severe mental illness. Am J Addict, 12, 242-252. Murphy, K. R., & Barkley, R. A. (1996). Prevalence of DSM-IV symptoms of ADHD in adult licensed drivers. J Atten Disord, 1, 147-161. Najavits, L. M. (2004). Assessment of trauma, PTSD, and substance use disorder: A practical guide. In J. P. Wilson & T. Keane (Eds. ), Assessing psychological trauma and PTSD (pp. 466-491). New York: Guilford Press. Najavits, L. M., Weiss, R. D., & Liese, B. S. (1996). Group cognitive-behavioral therapy for women with PTSD and substance use disorder. J Subst Abuse Treat, 13, 1322. Najavits, L. M., Weiss, R. D., Shaw, S. R., & Muenz, L. R. (1998). "Seeking safety": Outcome of a new cognitive-behavioral psychotherapy for women with posttraumatic stress disorder and substance dependence. J Trauma Stress, 11, 437-456. Noordsy, D. L., Schwab, B., Fox, L., & Drake, R. E. (1996). The role of self-help programs in the rehabilitation of persons with severe mental illness and substance use disorders. Community Ment Health J, 32, 71-81. Nowinski, J., Baker, S., & Carroll, K. (1995). Twelve step facilitation therapy manual: A clinical research guide for therapists treating individuals with alcohol abuse and dependence (Vol. 1). Rockville, MD: National Institute on Alcohol Abuse and Alcoholism. Nunes, E. V., & Levin, F. R. (2004). Treatment of depression in patients with alcohol or other drug dependence: A meta-analysis. JAMA, 291, 1887-1896. Nunes, E. V., McGrath, P. J., Wager, S., & Quitkin, F. M. (1990). Lithium treatment for cocaine abusers with bipolar spectrum disorders. Am J Psychiatry, 147, 655-657. Osher, F. C., & Kofoed, L. (1989). Treatment of patients with psychiatric and psychoactive substance use disorders. Psychiatr Serv, 40, 1025-1030. Petry, N. M. (2000). A comprehensive guide to the application of contingency management procedures in clinical settings. Drug Alcohol Depend, 58, 9-25. Petry, N. M., Martin, B., Cooney, J. L., & Kranzler, H. R. (2000). Give them prizes, and they will come: Contingency management for treatment of alcohol dependence. J Consult Clin Psychol, 68, 250-257. Post, R. M., Kotin, J., & Goodwin, F. K. (1974). The effects of cocaine on depressed patients. Am J Psychiatry, 131, 511-517. Powell, B. J., Penick, E. C., Nickel, E. J., Liskow, B. I., Riesenmy, K. D., Campion, S. L., & Brown, E. F. (1992). Outcomes of co-morbid alcoholic men: A 1-year follow-up. Alcohol Clin Exp Res, 16, 131-138. Prochaska, J. O., DiClemente, C., & Norcross, J. C. (1992). In search of how people change: Applications to addictive behaviors. Am Psychol, 47, 1102-1114. Prochaska, J. O., Norcross, J. C., & DiClemente, C. C. (1994). Changing for good. New York: Morrow. Randall, C. L., Thomas, S., & Thevos, A. K. (2001). Concurrent alcoholism and social anxiety disorder: A first step toward developing effective treatments. Alcohol Clin Exp Res, 25, 210-220. Regier, D. A., Farmer, M. E., Rae, D. S., Locke, B. Z., Keith, S. J., Judd, L. L., & Goodwin, F. K. (1990). Comorbidity of mental disorders with alcohol and other drug abuse: Results from the Epidemiologic Catchment Area (ECA) study. JAMA, 264, 2511-2518. Ridgely, S., Goldman, H. H., & Willenbring, M. (1990). Barriers to the care of persons with dual diagnoses: Organizational and financing issues. Schizophr Bull, 16, 123132. Ries, R. K., Sloan, K., & Miller, N. (1997). Dual diagnosis: concept, diagnosis, and treatment. In D. Dunner (Ed. ), Current psychiatric therapy (pp. 173-180). Philadelphia: Saunders. Ritsher, J. B., McKellar, J. D., Finney, J. W., Otilingam, P. G., & Moos, R. H. (2002). Psychiatric comorbidity, continuing care and mutual help as predictors of five-year remission from substance use disorders. J Stud Alcohol, 63, 709-715. Rohsenow, D. J., Monti, P. M., Martin, R. A., Michalec, E., & Abrams, D. B. (2002). Brief coping skills treatment for cocaine abuse: 12-month substance use outcomes. J Consult Clin Psychol, 68, 515-520. Ross, H. E., Glaser, F. B., & Germanson, T. (1988). The prevalence of psychiatric disorders in patients with alcohol and other drug problems. Arch Gen Psychiatry, 45, 1023-1031. Rousanville, B. J., Anton, S. F., Carroll, K., Budde, D., Prusoff, B. A., & Gawin, F. (1991). Psychiatric diagnosis of treatment-seeking cocaine abusers. Arch Gen Psychiatry, 48, 43-51. Rounsaville, B. J., & Carroll, K. M. (1997). Individual psychotherapy for drug abusers. In J. H. Lowinson, P. Ruiz, R. B. Millman, & J. G. Langrod (Eds. ), Substance abuse: A comprehensive textbook (pp. 430-439). Baltimore: Williams & Wilkins. Rounsaville, B. J., Dolinsky, Z. S., Babor, T. F., & Meyer, R. E. (1987). Psychopatholo-gy as a predictor of treatment outcome in alcoholics. Arch Gen Psychiatry, 44, 505513. Salloum, I. M., Cornelius, J.R., Thase, M. E., Daley, D. C., Kirisci, L., & Spotts, C.(1998). Naltrexone utility in depressed alcoholics. Psychopharmacol Bull, 34, 111-115. Satel, S., Southwick, S., & Gawin, F. H. (1991). Clinical features of cocaine-induced paranoia. Am J Psychiatry, 148, 495-499. Schaar, I., & Oejehagen, A. (2001). Severely mentally ill substance abusers: An 18-month follow-up study. Soc Psychiatry Psychiatr Epidemiol, 36, 70-78. Schubiner, H., Saules, K. K., Arfken, C. L., Johanson, C. E., Schuster, C. R., Lockhart, N., et al. (2002). Double-blind placebo-controlled trial of methylphenidate in the treatment of adult ADHD patients with comorbid cocaine dependence. Exp Clin Psychopharmacol, 10(3), 286-294. Schweizer, E., Rickels, K., & Lucki, I. (1986). Resistance to the anti-anxiety effect of buspirone in patients with a history of benzodiazepine use. N Engl J Med, 314, 719— 720. Shaner, A., Khalsa, M. E., Roberts, L., Wilkins, J., Anglin, D., & Hsieh, S. C. (1993). Unrecognized cocaine use among schizophrenic patients. Am J Psychiatry, 150, 758—762. Sigmon, S. C., Steingard, S., Badger, G. J., Anthony, S. L., & Higgins, S. T. (2000). Contingent reinforcement of marijuana abstinence among individuals with serious mental illness: A feasibility study. Exp Clin Psychopharmacol, 8(4), 509—517. Smelson, D. A., Losonczy, M. F., Davis, C. W., Kaune, M., Williams, J., & Ziedonis, D. (2002). Risperdone decreases craving and relapses in individuals with schizophrenia and cocaine dependence. Can J Psychiatry, 47, 671—675. Smelson, D. A., Losonczy, M. F., Kilker, C., Starosta, A., Kind, J., Williams, J., & Ziedonis, D. (2002). An analysis of cue reactivity among persons with and without schizophrenia who are addicted to cocaine. Psychiatr Serv, 53, 1612—1616. Sonne, S. C., & Brady, K. T. (2000). Naltrexone for individuals with comorbid bipolar disorder and alcohol dependence. J Clin Psychopharmacol, 20, 114—115. Spencer, C., Castle, D., & Michie, P. T. (2002). Motivations that maintain substance use among individuals with psychotic disorders. Schizophr Bull, 28, 233—247. Substance Abuse and Mental Health Services Administration. (2002). Report to Congress on the prevention and treatment of co-occurring substance abuse disorders and mental disorders. Washington, DC: Authors. Swanson, A. J., Pantalon, M. V., & Cohen, K. R. (1999). Motivational interviewing and treatment adherence among psychiatric and dually diagnosed patients. J Nerv Ment Dis, 187, 630—635. Tollefson, G. D., Montague-Clouse, J., & Tollefson, S. L. (1992). Treatment of comor-bid generalized anxiety in a recently detoxified alcoholic population with a selective serotonergic drug (buspirone). J Clin Pharmacol, 12, 19—26. Upadhyaya, H. P., Brady, K. T., Sethuraman, G., Sonne, S. C., & Malcolm, R. (2001). Venlafaxine treatment of patients with comorbid alcohol/cocaine abuse and attention-deficit/hyperactivity disorder: A pilot study. J Clin Psychopharmacol, 21, 116—117. Velasquez, M. M., Carbonari, J. P., & DiClemente, C. C. (1999). Psychiatric severity and behavior change in alcoholism: The relation of the transtheoretical model variables to psychiatric distress in dually diagnosed patients. Addict Behav, 24, 481—496. Weiss, R. D. (1986). Psychopathology in chronic cocaine abusers. Am J Drug Alcohol Abuse, 12, 17—29. Weiss, R. D. (1992a). Drug abuse as self-medication for depression: An empirical study. Am J Drug Alcohol Abuse, 18, 121—129. Weiss, R. D. (1992b). The role of psychopathology in the transition from drug use to abuse and dependence. In M. Glantz & R. Pickens (Eds. ), Vulnerability to drug abuse (pp. 137—148). Washington, DC: American Psychological Association. Weiss, R. D. (1998). Validity of substance use self-reports in dually diagnosed outpatients. Am J Psychiatry, 155, 127—128. Weiss, R. D., Griffin, M. L., Greenfield, S. F., Najavits, L. M., Wyner, D., Soto, J. A., & Hennen, J. A. (2000). Group therapy for patients with bipolar disorder and substance dependence: Results of a pilot study. J Clin Psychiatry, 61, 361-367. Weiss, R. D., & Hufford, M. R. (1999). Substance abuse and suicide. In D. Jacobs (Ed. ), Harvard Medical School guide to assessment and intervention in suicide (pp. 300-310). New York: Simon & Schuster. Weiss, R. D., Mirin, S. M., & Frances, R. J. (1992). The myth of the typical dual diagnosis patient. Hosp Community Psychiatry, 43, 107-108. Weiss, R. D., Najavits, L. M., & Greenfield, S. F. (1999). A relapse prevention group for patients with bipolar and substance use disorders. J Subst Abuse Treat, 16, 4754. Weiss, R. D., Najavits, L. M., Greenfield, S. F., Soto, J. A., Shaw, S. R., & Wyner, D. (1988). Psychopathology in cocaine abusers: Changing trends. J Nerv Ment Dis, 176, 719-725. Ziedonis, D., & Trudeau, K. (1997). Motivation to quit using substances among individuals with schizophrenia: Implications for a motivation-based treatment model. Schizophr Bull, 23, 229-238. Ziedonis, D., Williams, J., Corrigan, P., & Smelsen, D. A. (2000). Management of substance abuse in schizophrenia. Psychiatr Ann, 30, 67-75. Zimmet, S. V., Strous, R. D., Burgess, E. S., Kohnstamm, S., & Green, A. I. (2000). Effect of clozapine on substance use in patients with schizophrenia and schizo-affective disorder: A retrospective study. J Clin Psychopharmacol, 20, 94-98.